Hey all. After playing a few games of good ol' fleetops I was inspired to make my own poster. If anyone else has made or found any related to fleetops, then you can happily post them here. Last edited by _Zap_ on July 2nd, 2011, 3:29 pm, edited 1 time in total. *doesnt fit in here. i hate sites that leave two third of the width of my screen unused. Edit: Nice Myles, thx. Also made another one. _Zap_ wrote: *doesnt fit in here. i hate sites that leave two third of the width of my screen unused. it will modify height automatically to keep the aspect ratio. a lot of forums (and other sites) have fixed widths, this is probably a technical thing to deal with people having different screens. 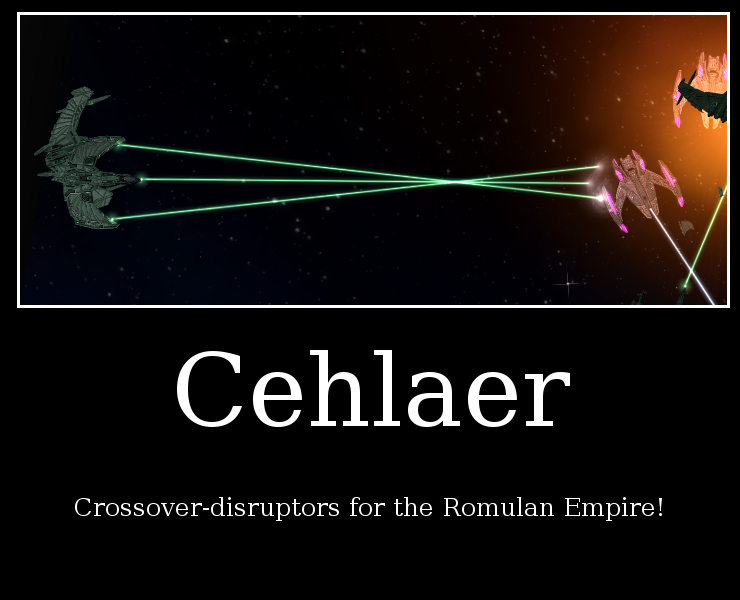 Romulans, don't cross the streams! Last edited by _Zap_ on July 2nd, 2011, 8:37 pm, edited 1 time in total. Time to be necrophile! why start a new topic? These aren't following the general demotivator style. There's a reason it uses blokk letters. What do I know. V13's are scary. Last edited by Anonymous on January 28th, 2012, 12:56 am, edited 1 time in total. Futility is true. I did not realize that veteran Vutpa has 96% torpedo avoidance. Thanks for the lesson that will not be forgotten. HOW many Sangs IS that?